How do i get the part of Clara? I'm trying out for the nutcracker next month, and would like to know what you think. Since I am a little old to play Clara, even though it is my dream to play that part, should i go for a more realistic role? i mean, there are many other girls who want that part, and if i audition for, lets just say, the spanish lead, and i get it, i wont be stuck with a back ground part. It is important to keep your dreams alive and all dancers must have a goal to strive towards.If Clara is your dream role, then I suggest you go for it. Have confidence in yourself and know you have tried your hardest to pursue that dream. Of course there will be many other girls who want the role too, but focus on what you want. If you go into the audition with confidence and performance you will shine out. The panel will be looking for someone they can rely on for the main role, so make sure you believe you can do it. If you are too old, or too tall, then this is exacly the reality of a professional career so just know it just isn't your moment at this certain point in time. I am sure you will get another role which you can enjoy just as much. I was wondering, I choreographed a 2:46sec dance and I want to perform it in our show, if you were my teacher would you let me? It would be a pointe dance and we dont usually do them. If I was your teacher, I would think it is extremely responsible of you to take initiative and choreograph your own dance! Wow! Not many young dancers would have the committment to choreograph their own dance and have the confidence to want to perform it in the show. This demonstrates you are a high achiever who wants a challenge, so I definitely advise you to talk to your teacher. Even if your teacher is not able to put your dance in the show, it has still been beneficial to go through the process of creation for your dance. I suggest you video yourself doing the dance so you always remember it, as it could come in handy in the future if your dance school ever need a choreographed dance! Your teacher will still appreciate your will and effort you have gone through to create the dance. Well done Savannah, I am very impressed! When asked to perform a solo for an audition, would you recommend a dancer to choreograph their own or to use an original repertoire(if it says either)? Amazing songs to use for auditions? I would advise you to choose the option that will make you feel most confident. At an audition, you want to show yourself off to the best ability and make a great impression. Therefore, you want to choose a solo that complements you as a dancer. I suggest you talk to your ballet teacher, as she is the person who knows your strengths and weaknesses. Discuss your thoughts and ask for her advice, as she will be able to guide you too. 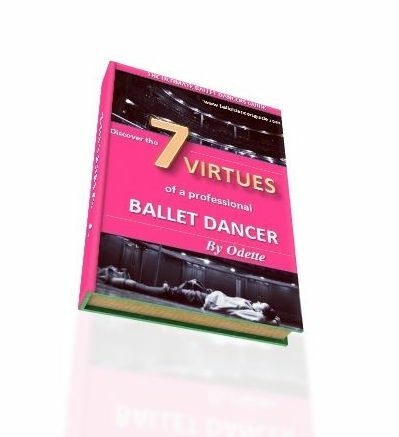 If you are choosing original repertoire, then look for a piece that suits you as a dancer. Are you a quick/ lyrical/ dynamic dancer? Make sure the solo highlights your best aspects. If you are choreographing your own solo, make sure you allow enough preparation time for the audition. This option may take you more time, as you have to structure the solo yourself as well as cleaning it to perfection. It is important to feel assured with the solo you choose to dance. Make sure you have had enough practice at performing the solo, so rehearse it to as many people as you can so that you are truly ready for the audition. Not a critical problem, but one I don't like is when the dancer, when supposed to face the centre has no emotion in her or his eyes and stares at one part of the back wall. Sweep the audience or judges with your eyes, with a calm polite expression that shows your passion for what your doing. Judges know when they see a dancer that loves what they are doing, they will be more determined to become better and rise to the expectations. And you wouldn't be there if you didn't love it so SHOW IT!